Of the 23 governors eligible to seek another term in 2018, only three opted to retire with Democrat Dan Malloy of Connecticut, Republican Butch Otter of Idaho, and DFLer Mark Dayton of Minnesota calling it quits at the end of the year. Among those governors seeking reelection are six in states that have elected different governors in at least three consecutive cycles: Alaska (independent Bill Walker, pictured), Arizona (Republican Doug Ducey), Hawaii (Democrat David Ige), Illinois (Republican Bruce Rauner), Pennsylvania (Democrat Tom Wolfe), and Rhode Island (Democrat Gina Raimondo). Some of these states have experienced turnover due to governors resigning mid-cycle (Sarah Palin of Alaska in 2009), getting thrown out of office (Rod Blagojevich of Illinois in 2009), losing at the ballot box (Sean Parnell of Alaska in 2014, Neil Abercrombie of Hawaii in 2014, Pat Quinn of Illinois in 2014, Tom Corbett of Pennsylvania in 2014), or simply not seeking another term (Lincoln Chafee of Rhode Island in 2014). A few of these states may see those streaks extended this November, with Ige facing a strong primary challenger in Congresswoman Colleen Hanabusa, Walker enduring mediocre approval ratings, and Rauner and even Ducey vulnerable to a potential Democratic wave. Some states, however, have enjoyed remarkable stability in their governorships, electing the same governor in back-to-back cycles at least once for a generation or more. [With the exception of Virginia, each state currently permits governors to serve at least two consecutive terms]. Utah holds the current record – doing so with each of the last 11 elected governors dating back to Democrat George Dern to the 1920s. Dern, a state senator, unseated Charles Mabey in 1924 to deny the GOP governor a second straight win and went on to claim a second term in 1928. So did the next 10 elected governors of Utah: Democrat Henry Blood (1932, 1936), Democrat Herbert Maw (1940, 1944), Republican Brack Lee (1948, 1952), Republican George Clyde (1956, 1960), Democrat Cal Rampton (1964, 1968, 1972), Democrat Scott Matheson (1976, 1980), Republican Norm Bangerter (1984, 1988), Republican Michael Leavitt (1992, 1996, 2000), Republican Jon Huntsman (2004, 2008), and Republican Gary Herbert (2010, 2012, 2016). [Note: Maw lost his bid for a third term in the 1948 general election to Lee and Lee was denied a third term losing to Clyde in the 1956 GOP primary]. California is next, voting their last eight elected governors into office twice: Democrat Pat Brown (1958, 1962), Republican Ronald Reagan (1966, 1970), Democrat Jerry Brown (1974, 1978), Republican George Deukmejian (1982, 1986), Republican Pete Wilson (1990, 1994), Democrat Gray Davis (1998, 2002), Republican Arnold Schwarzenegger (2003, 2006), and Jerry Brown again for a second stint (2010, 2014). 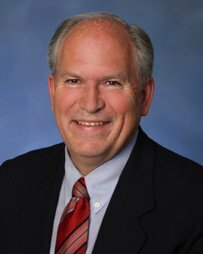 If Bill Walker is defeated in November, Alaska would break its state record by electing its sixth different governor in six straight cycles following Knowles (1998), Republican Frank Murkowski (2002), Palin (2006), Parnell (2010), and Walker (2014). Alaskans previously elected five different governors in a row with Republican Jay Hammond (1978), Democrat Bill Sheffield (1982), Democrat Steve Cowper (1986), Alaskan Independence-turned-Republican Wally Hickel (1990), and Knowles (1994). Walker ran on a unity ticket in 2014 with former Democratic nominee Byron Mallott and it is unlikely that a prominent Democrat will jump into the race this cycle and oppose their ticket. Several Republicans are vying for the seat, however, including State Senator Mike Dunleavy, State Representative Mike Chenault, and businessman Scott Hawkins. 4 Comments on "Will Alaska Elect Its 6th Consecutive Different Governor in 2018?" 1. Napolitano, the third head of DHS (indeed, the first D appointee) also resigned without completing her gubernatorial term – much to the chagrin of the state party hierarchy in AZ, as that move elevated Jan Brewer, then state secretary of state and a nationally prominent future booster of “45”, to the governorship. Had it not been for a highly restrictive term limits provision, she quite likely would have won the post back to back, in both ’10 and ’14. 2. In the case of Ige, the wild card over his bid may well be the collective memory of the voters, specifically over the recent nuclear missile alert, which turned out to be a false alarm. 3. So, former Senator Begich has finally decided not to attempt a comeback (at least not this cycle, or not for governor) ? I don’t believe Begich has officially declared he won’t run; the “unlikely” status to which i refer above bakes that slight chance into the odds-making cake. The former senator has now less than 4 months to declare his candidacy before the June 1st deadline. That is hilarious. And true!